Pianists Eric Tran and Nathan Cheung bring humor and joy to the classical music world with their four-hands originals and transcriptions. Friends and collaborators since middle school, Eric and Nathan earned their share of accolades. 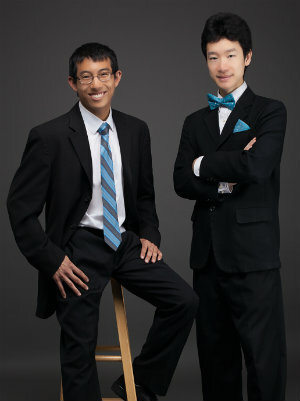 They’ve won a record-breaking 13 gold medals in piano duo events at the United States and recently took home prizes at the Horowitz Two Piano Competition and the Ellis Duo Piano Competition, hosted by the National Federation of Music Clubs. The name Happy Dog comes from their eponymously-titled 30-second compositional "masterpiece," Happy Dog. Sadly, neither Nathan nor Eric owns a dog.